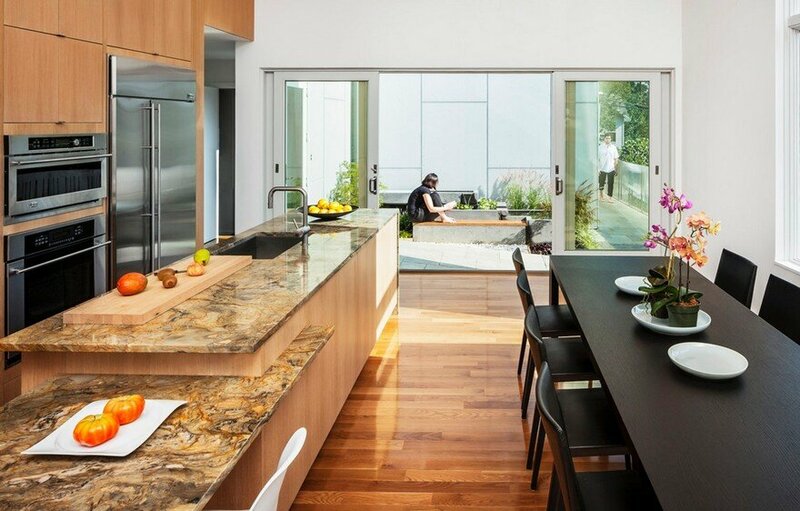 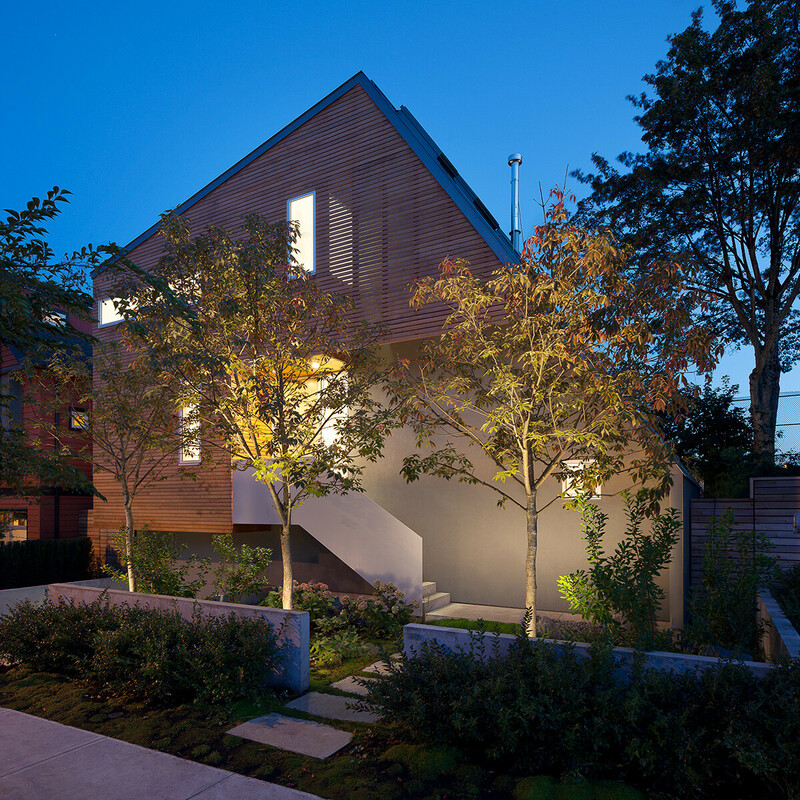 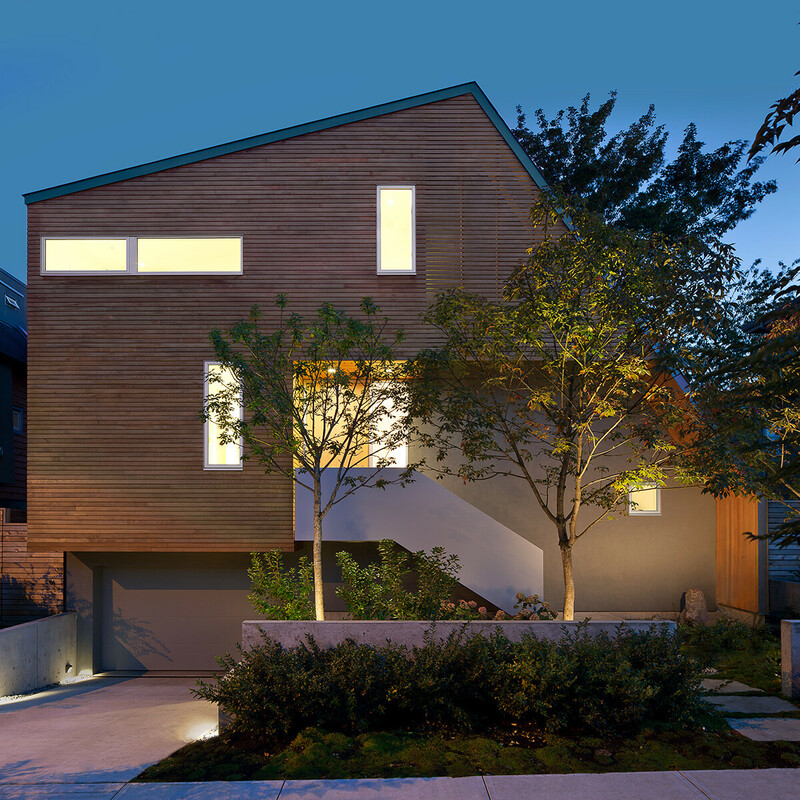 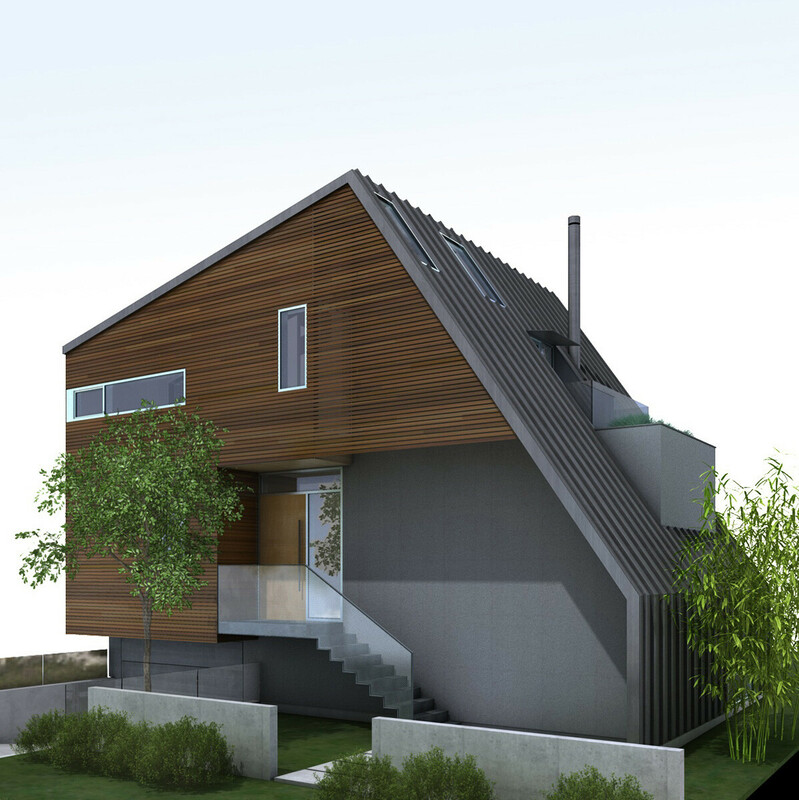 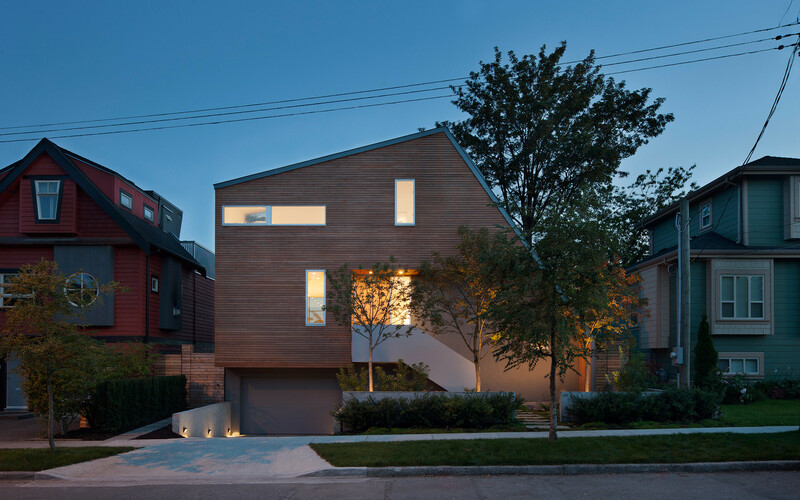 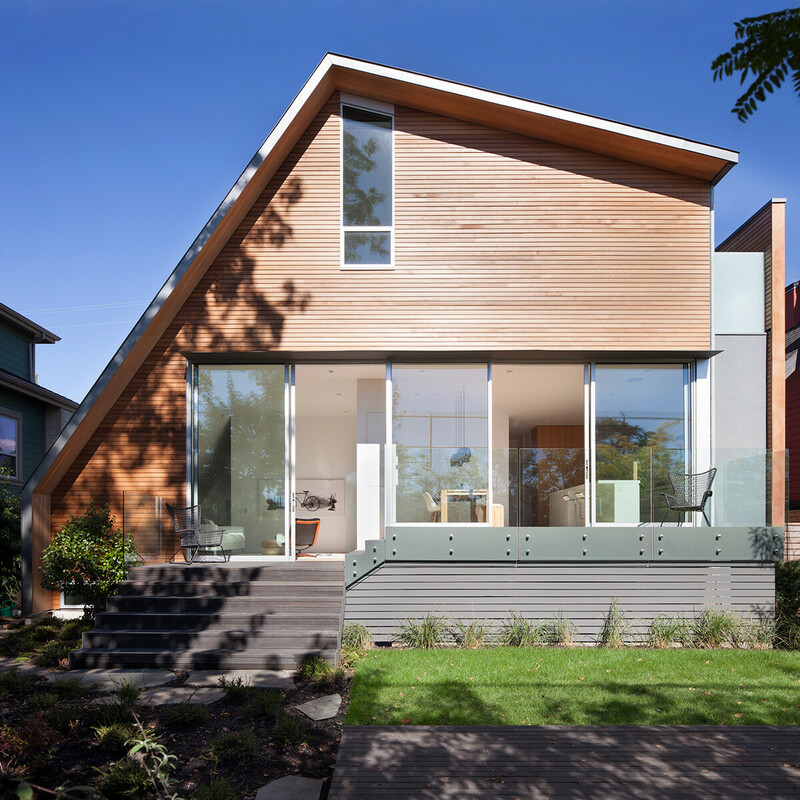 East Van House was projected by Splyce Design in Vancouver, British Columbia, on a 50×75 lot located in a colorful neighborhood with a diversified community. 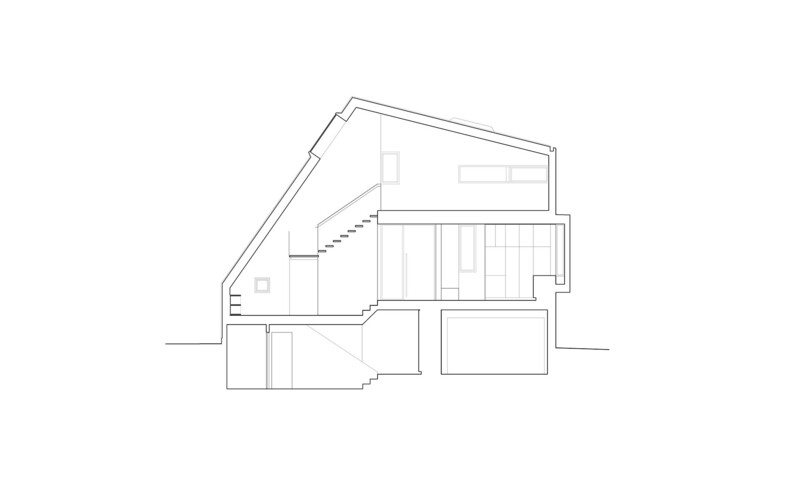 In order to comply with the zonal and architectural norms and also to provide a sufficient volume for the vertical space, the house is projected with an asymmetric geometry. 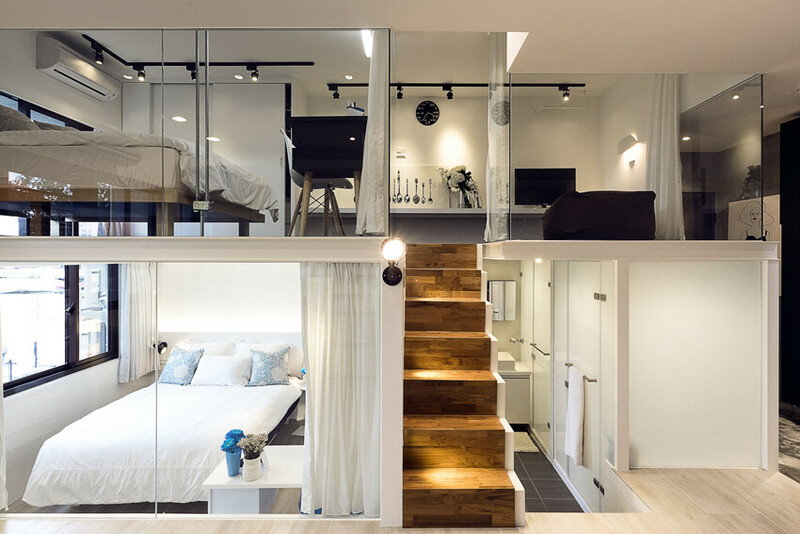 From the floor to the top of the ceiling there are 26 meters. 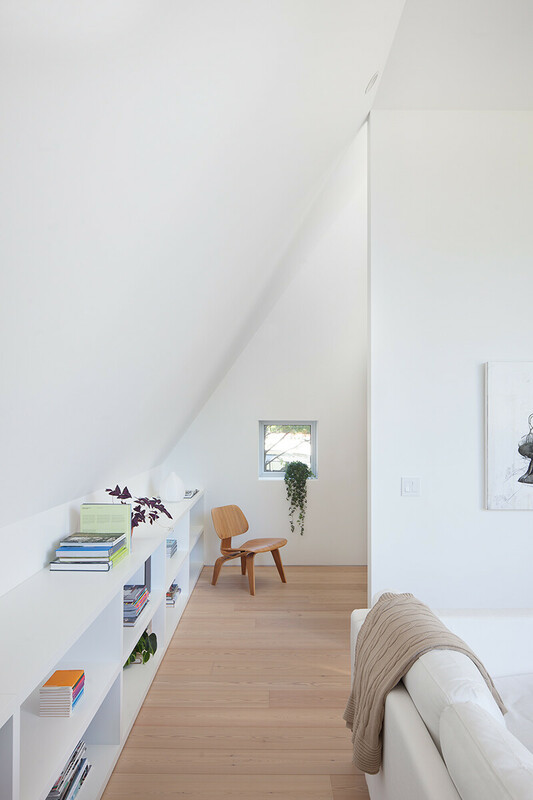 On the roof, the house has generously sized skylights situated so they allow natural light to penetrate deep into the north of the house. 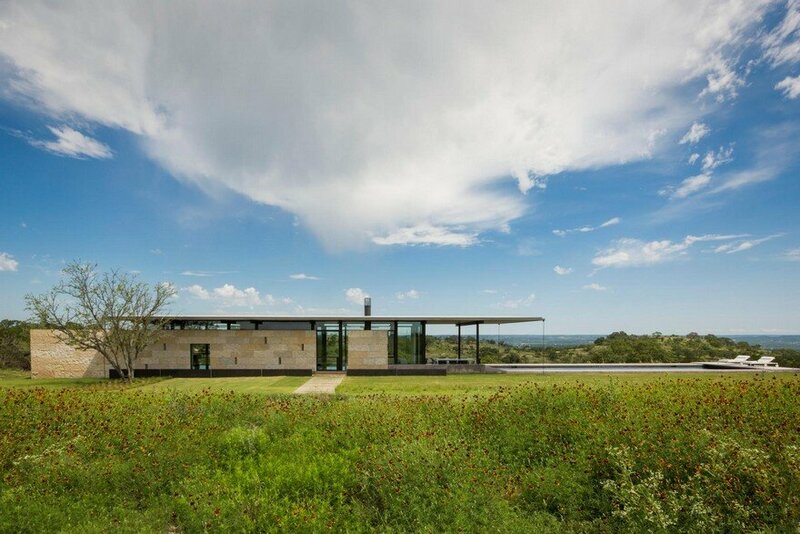 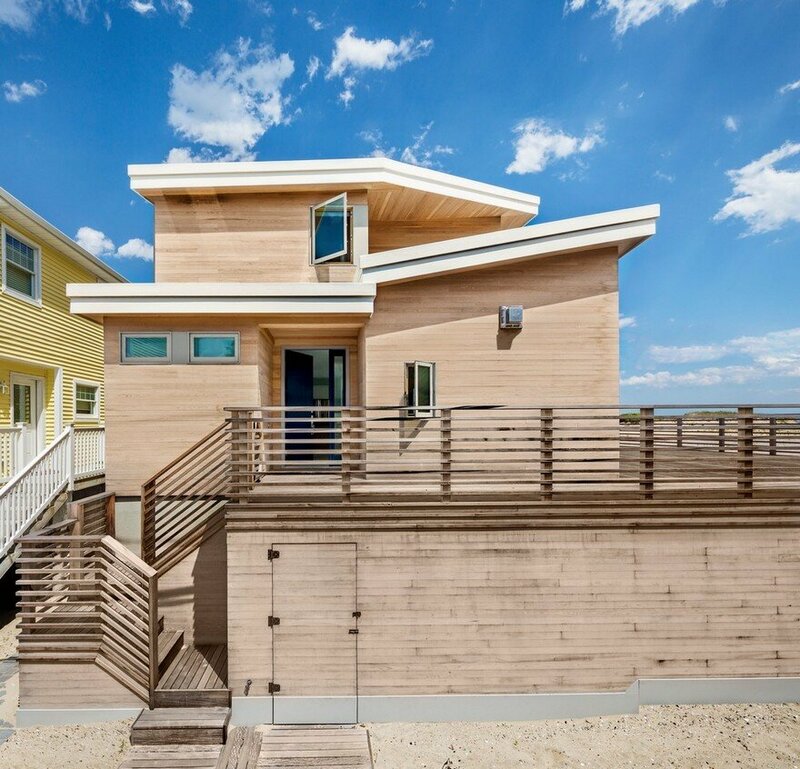 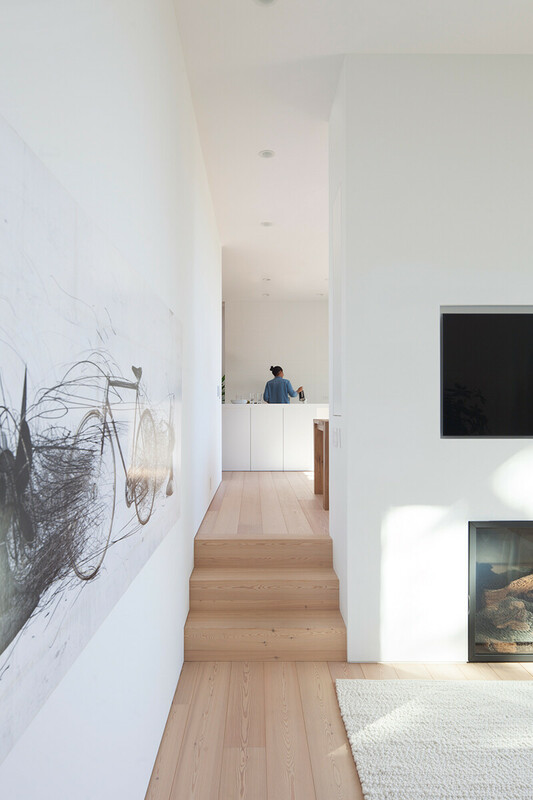 The main floor is bisected from east to west with a continuous line of steps and fireplace, separating the kitchen and dining from the living area. 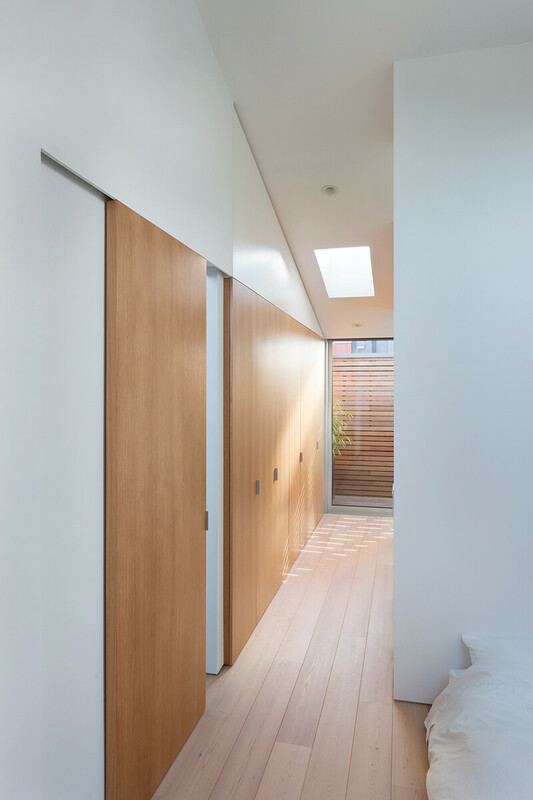 To the south, a sliding wall made of glass doors expands the space with a garden, providing a discrete division of the interior and exterior. 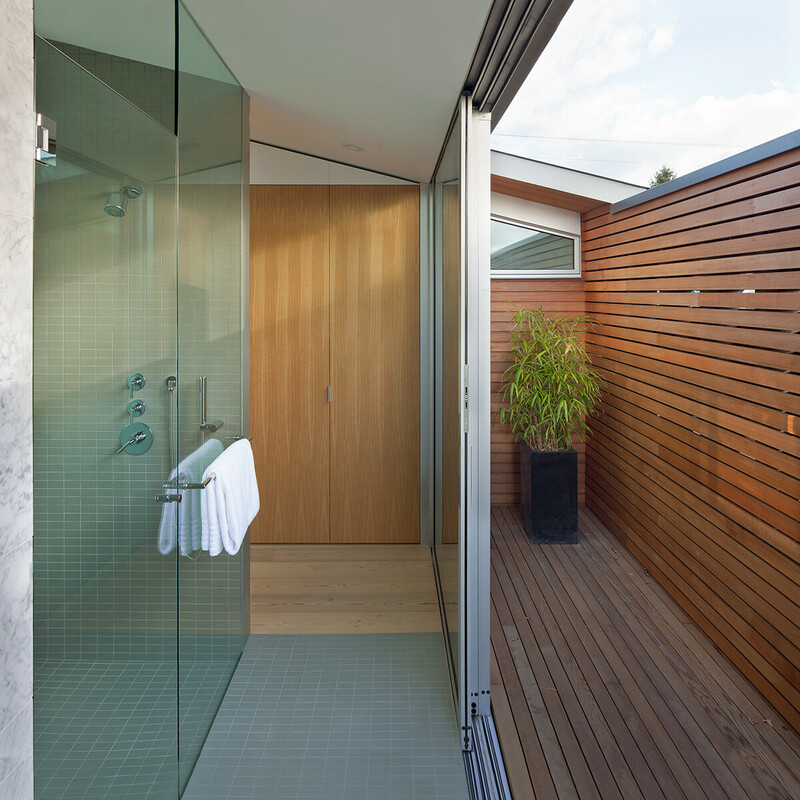 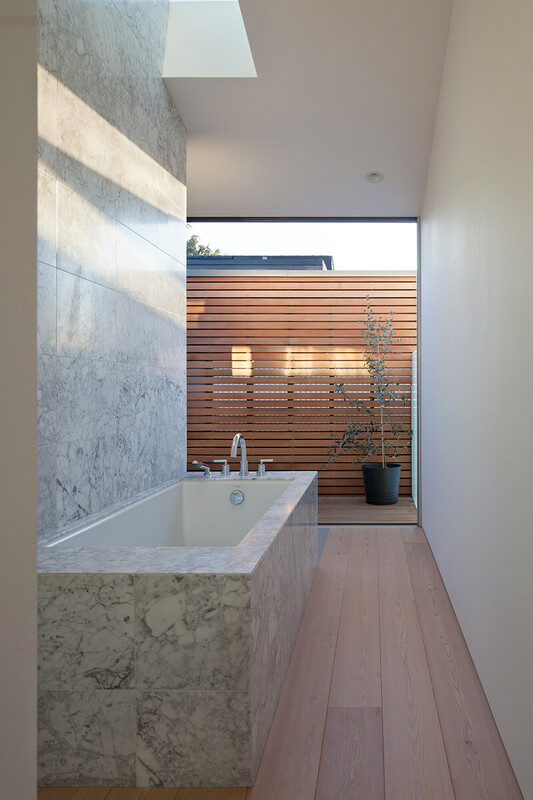 In a similar way, the sliding glass doors extend the main bathroom with a cedar-screened deck, enhancing the spa-like experience. 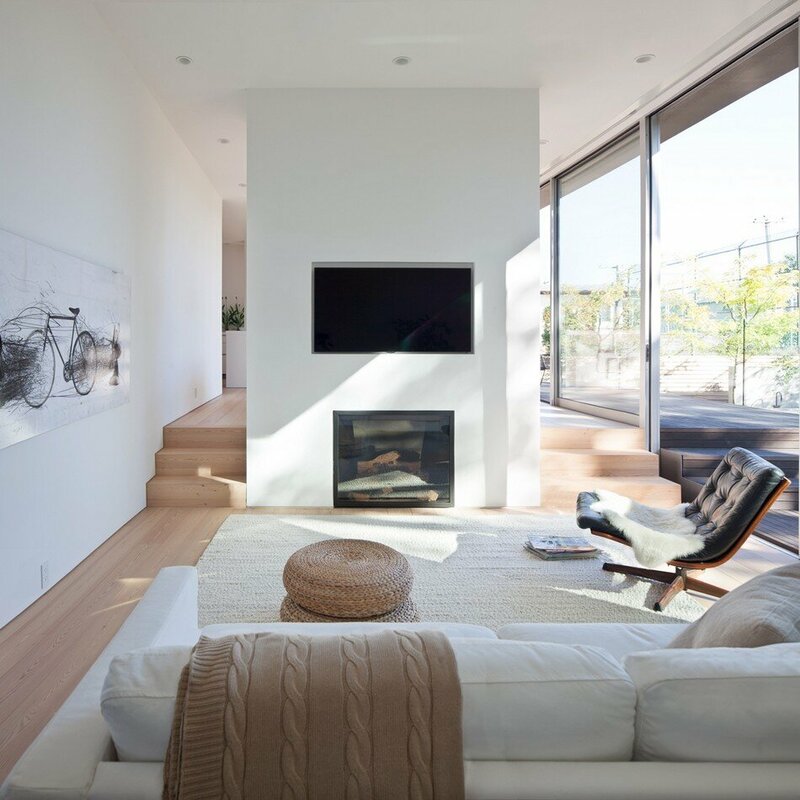 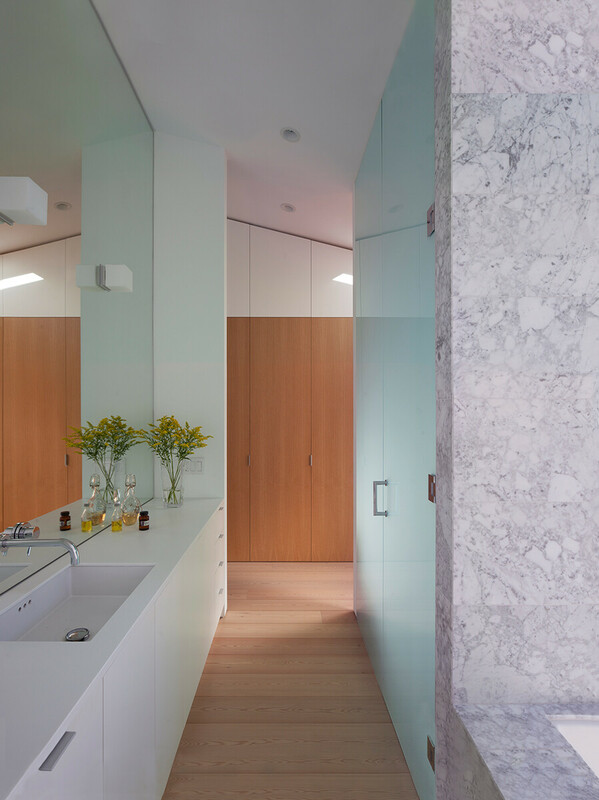 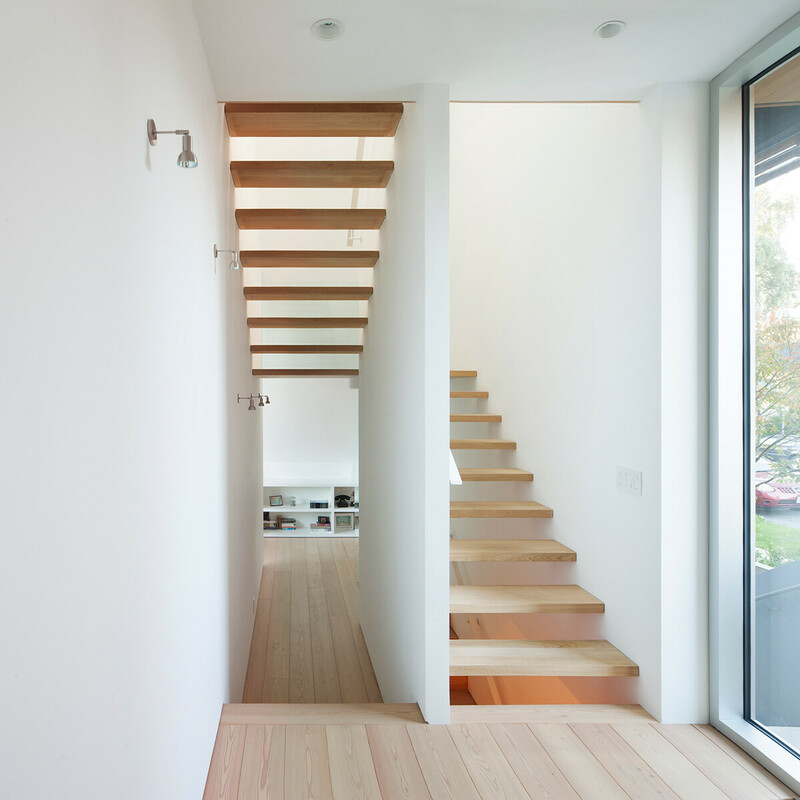 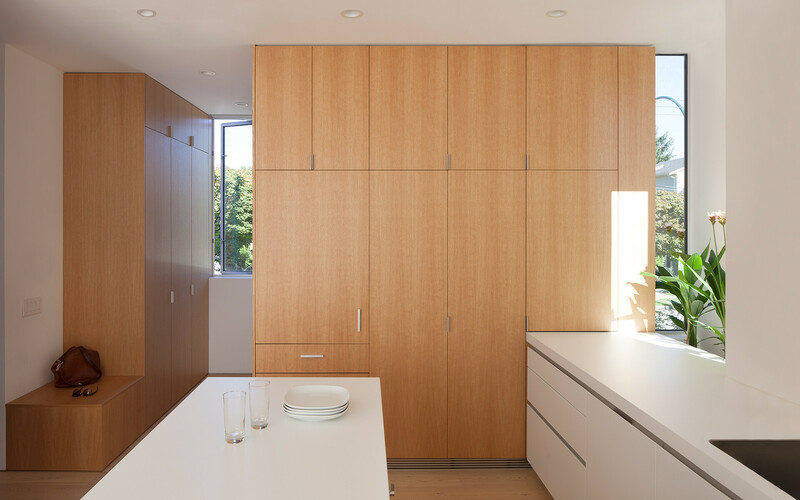 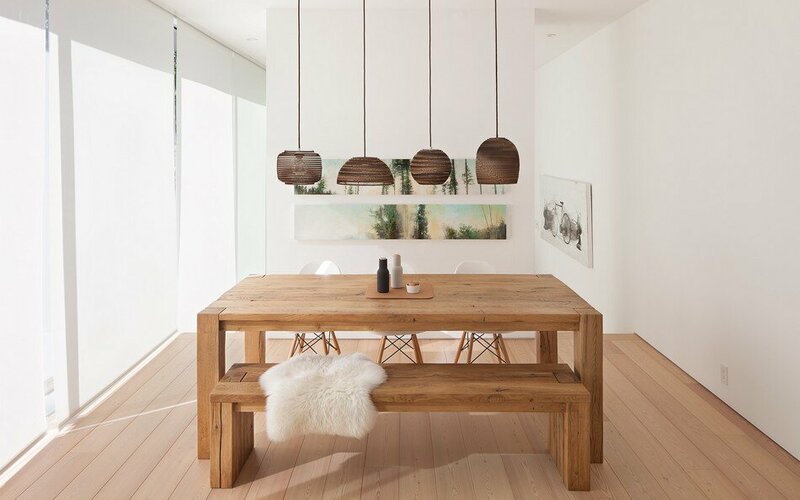 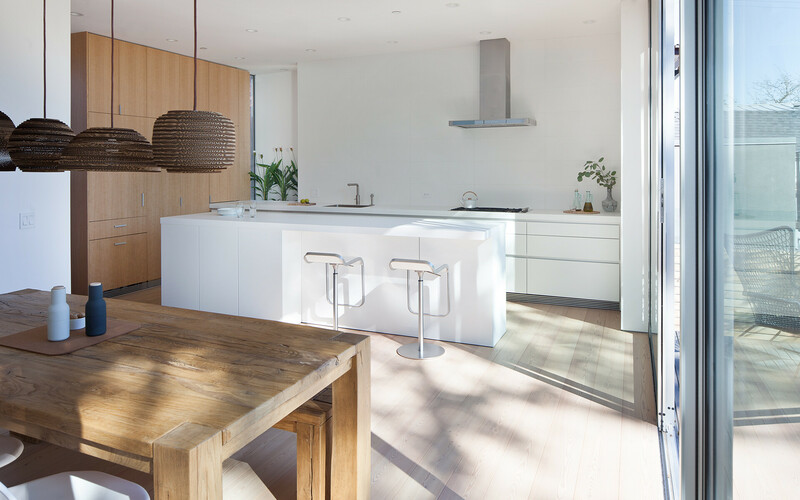 The interiors of East Van House are based on the combination between white and wood, providing increased spaciousness and brightness. 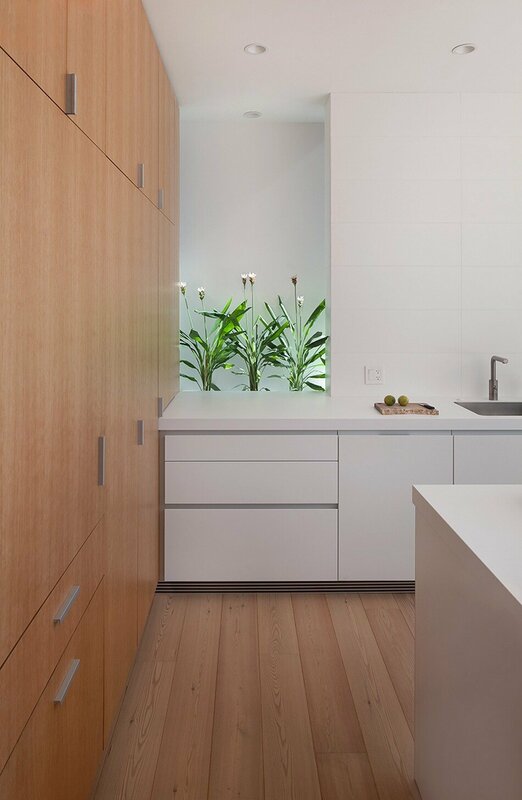 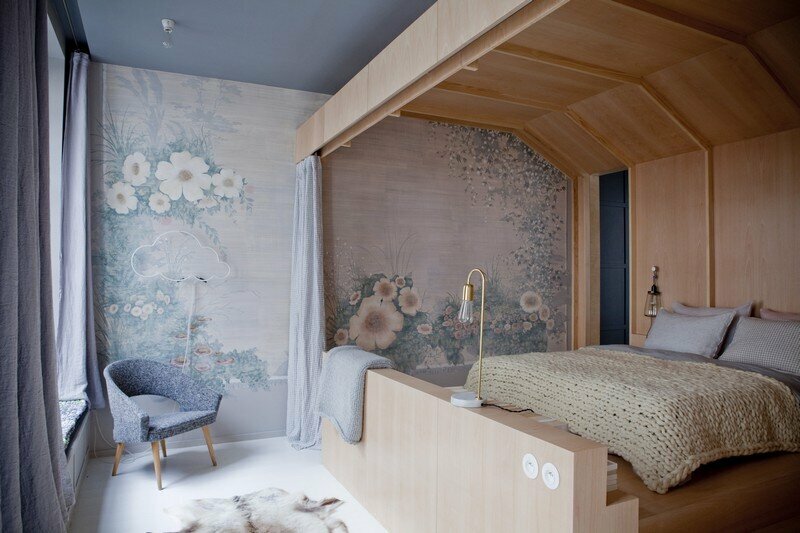 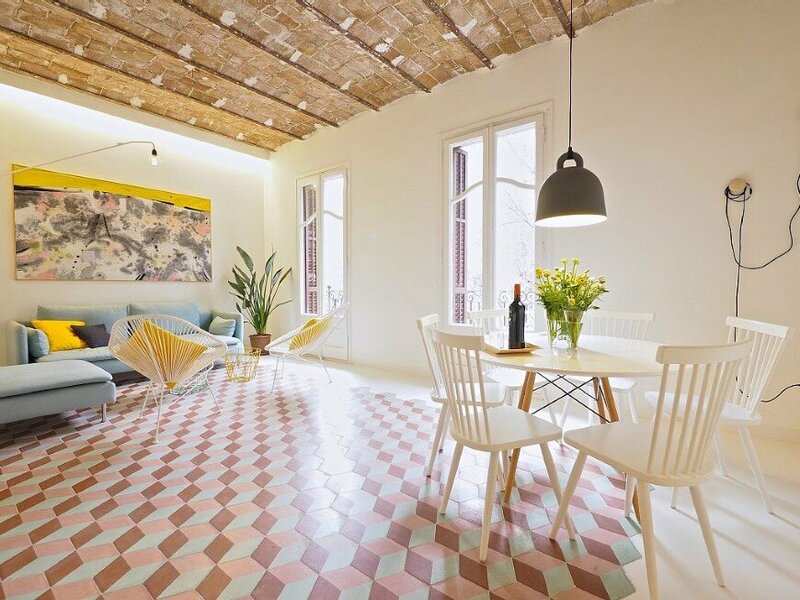 This interior concept offers to the space a lot of freshness, elegance, comfort and a welcoming atmosphere, necessary “ingredients” for any home.